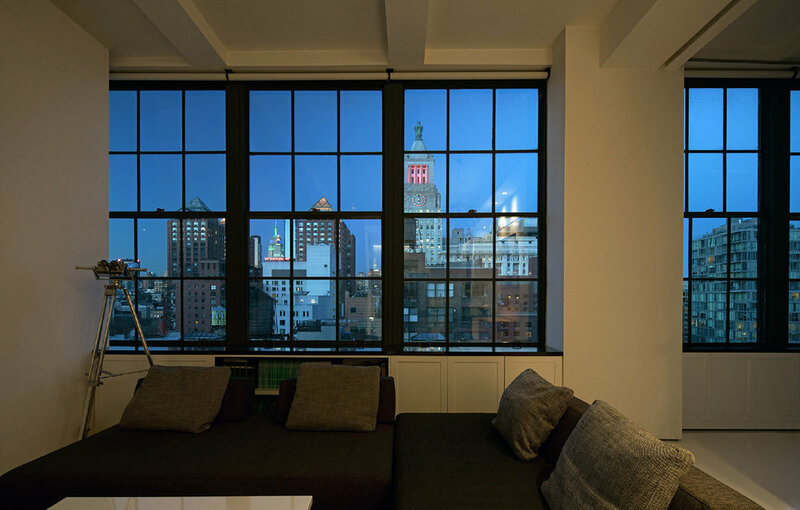 This East Village studio apartment is located in a 1920's industrial building and has sweeping views over Midtown Manhattan. When this building was converted into apartments in the 1980's, the modest sized spaces had 14' high ceilings, exposed beams, steel gridded windows and raw concrete floors. The rawness of these materials led to a unique renovation of this 600 square foot alcove studio that is rough and refined at the same time. Below is an example of model photography done in our office to study how natural light interacts with surface and geometry.